Plastic is rubbish. There are no two ways about it really. My friend and travel buddy Kate is so concerned, in 2007 she started a website that contains all manner of information about plastic. What it is? Why it doesn’t biodegrade? And why we need to talk about our plastic consumption. Kate also provides a huge resource for those wanting to reduce the amount of plastic that infiltrates our lives on a daily basis. Prior to our family gap year, it was my conversations with Kate that inspired us to invest in decent water bottles and our very own Katadyn water filter. A family of four relying on bottled water for a year would have created such waste, we could probably have built our own raft to sail around Asia. Kate’s top tips for reducing your plastic footprint while you travel is a must for any environmentally savvy traveller. 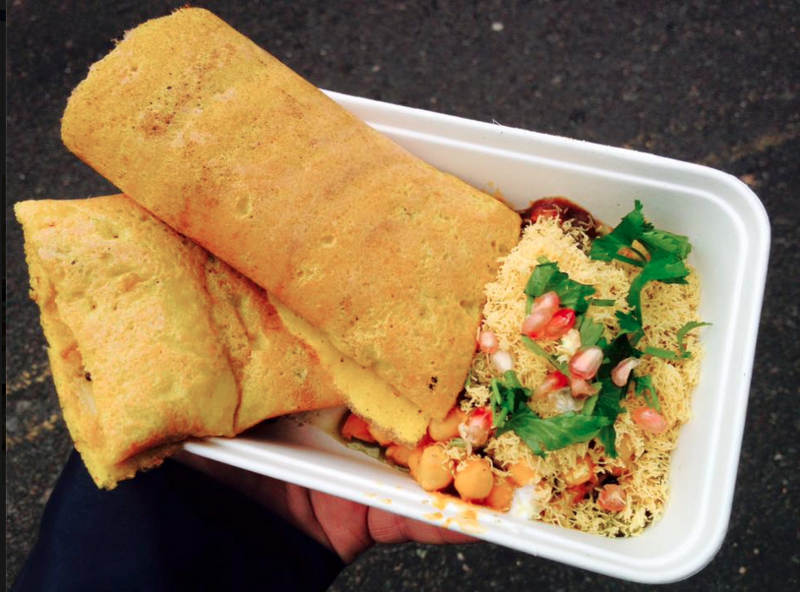 Since the start of my business in 2011, especially my street food work, which has the capacity to produce lots of waste, I have tried to be mindful about the impact of my work and the waste it produces. I recycle all my paper, glass, aluminium and tin (of course). But when it comes to plastic, the challenge is huge. It seems to come with everything. Even when you think you’ve ordered something that is compostable or recyclable, it still comes wrapped in plastic. 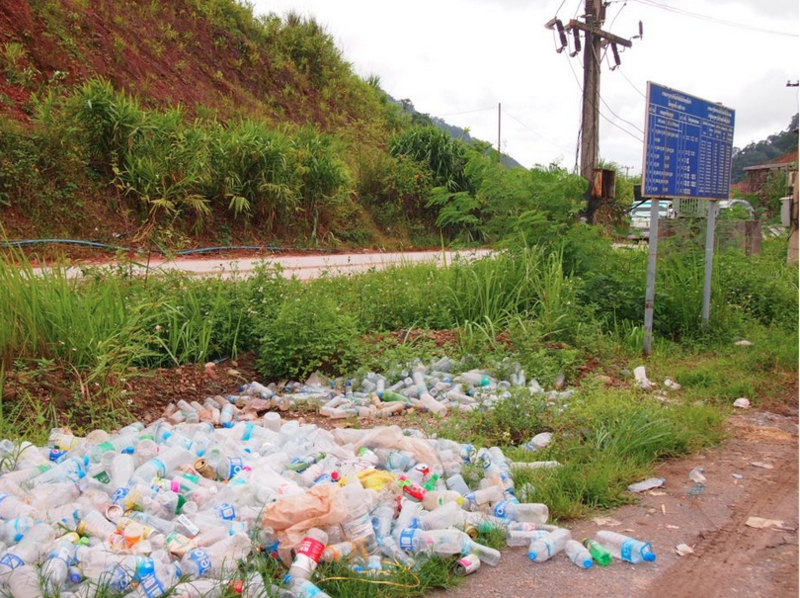 Although some plastics can be recycled, much of this can still end up in landfill because it often becomes contaminated with unrecyclable waste. Recycling is quite complex and far more sensitive to contamination than most of us realise. A delicious looking plate of food, of that there is no question but yes, that's a polystyrene tray. In London. For me, a modern wealthy city serving food in such a polluting single use tray clearly indicates a need for legislation and enforcement. From July this year, New York has introduced a ban on polystyrene foam, which The Guardian has suggested could be a future gamechanger, given the size of the city's population and the number of eateries that serve them. For a busy food outlet, the increased cost will be fairly marginal. In terms of festivals, things could be a little more complicated. While I'm all for supporting festivals in their quest to make themselves greener (check out A Greener Festival website), as Mark Laurie from NCASS has pointed out, compostable waste has to be dealt with locally after an event, so festival policy will be shaped by the availability of local waste management services. And this will also be reliant on the organisers' ability to fulfill their obligations, and not simply using this as an opportunity to charge traders more. My latest challenge has been the launch of my sauces, selling them via my website shop. At first, I decided that it was better to use a less breakable plastic bottle to reduce the amount of protective packaging required and if it was recyclable, surely that would be ok? But after discussing with an expert, I decided that glass would be the better way to go. Unfortunately my glass bottles do have plastic lids. I’ve not been able to find a way around this yet, but I welcome any suggestions. But the worst culprit here is postal packaging. Glass bottles and jars require a substantial amount of padding if they are to survive the rigours of the postal service (where I am now convinced they play a quick game of keepy uppy with any parcel marked fragile). After much research I have now found a supplier of recycled cardboard postal packaging for my jars and bottles. This will still require some padding out, and at this stage I am re-using any existing padding material, that I have either received myself or I'm collecting from others instead of throwing away. Re-using plastic is one of the best ways to ensure it doesn’t end up in landfill, but it will end up there eventually, so this isn’t a long term solution. I am also experimenting with a shredder to see if paper can give me the same padded oompf required, but the results remain to be seen. Maybe I should test this out with a quick game of keepy-uppy in the garden with a test parcel!